Unravel is my local yarn festival as it’s only about 40 minutes from my house and I go almost every year, but I missed last year due to my husband’s big birthday celebrations occurring on the same weekend. So I was super excited to go this year, especially as I was going with my lovely friends, the Possiwools. This was the first yarn festival I’d attended since I resolved to only buy yarn grown, spun and dyed in the UK, and I think, when I made this resolution, I was expecting this would be a big limiting factor on my purchasing and that I might actually reduce my stash over the course of 2018. How wrong I was. We all met up over coffee and by 10.30am had hit the Great Hall, and the first vendor I saw was The Little Grey Sheep who are based about 20 minutes from my home, so are very local to me and consequently hit all my buying local buttons. 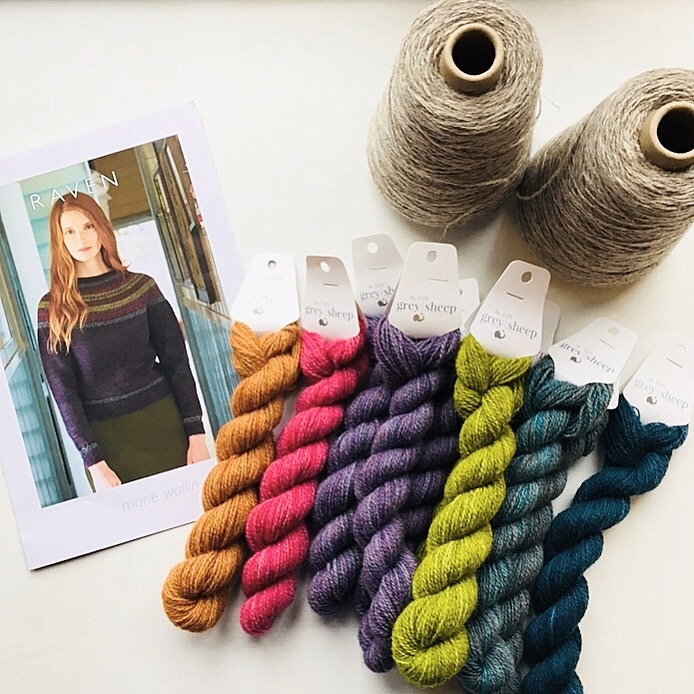 I didn’t have a clear idea of what I would want to make in their yarn until I saw their samples of the Raven sweater by Marie Wallin and was smitten. Emma really knows her colours so I was happy to let her guide me and very quickly came away with a sweater quantity of yarn in my bag. And it felt really good knowing I was supporting a small local business. Then a good squish of yarns at John Arbon and New Forest Mohair, and a lot of admiration of Jon’s fabulous Dashounds Through The Snow Christmas Jumper at Easy Knits, and I purchased Alison Ellen’s great book, Knitting Colour, Structure and Design (expect to see entrelac in my future) and Rachel Coopey’s Socks Yeah! book because her gussets are just so gorgeous (not a sentiment you can generally express publicly without attracting strange looks, unless it’s within a group of knitters). My next yarn purchase was from Daughter of a Shepherd. I just love her story and it was reading her blog, after listening to a Knit British podcast, about how little farmers are paid for their fleece and that it’s often not worth the transportation cost to market, so they bury it, use it as compost or burn it, that made up my mind to buy British. I’m so pleased she and her father took the decision to have their yarn spun because it is a beautiful product. I bought 400g of Brune, a double knit weight yarn with the idea of making a Bavaria shawl by Isabell Kraemer. Into the Tindle Studio and I couldn’t miss the Garthenor stand. Even if you ignore the yarn, it’s a lovely display and it makes buying their yarn very easy. Each row corresponds to a yarn weigh from lace weight at the top through to chunky at the bottom. I bought 3 50g skeins of their 4ply yarn (although at 135 metres per 50g, it’s almost a sport weight), without a project in mind. Pattern suggestions gratefully received. Just off the Tindle Studio is the Courtyard Kiln where I had a lovely chat with the ladies from the Wensleydale Longwool Sheep Shop and saw the difference in loftiness between the ecru and darker natural Wensleydale yarn. 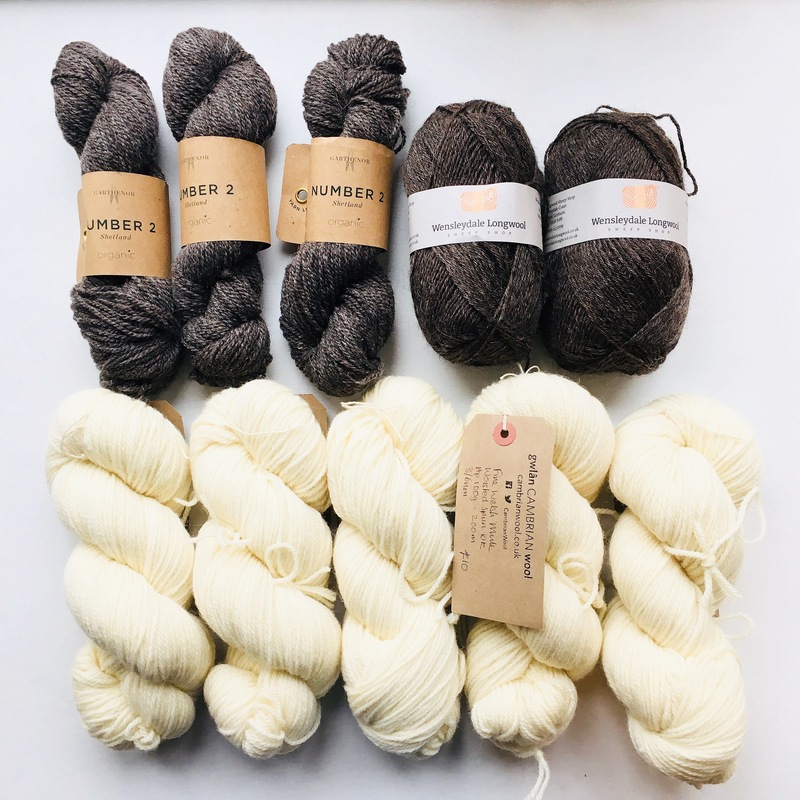 I purchased a couple of balls of the dark undyed double knit, again, without a project in mind but I do have some cream undyed Wensleydale DK in my stash so this might become a monochrome fairisle project in the fullness of time. 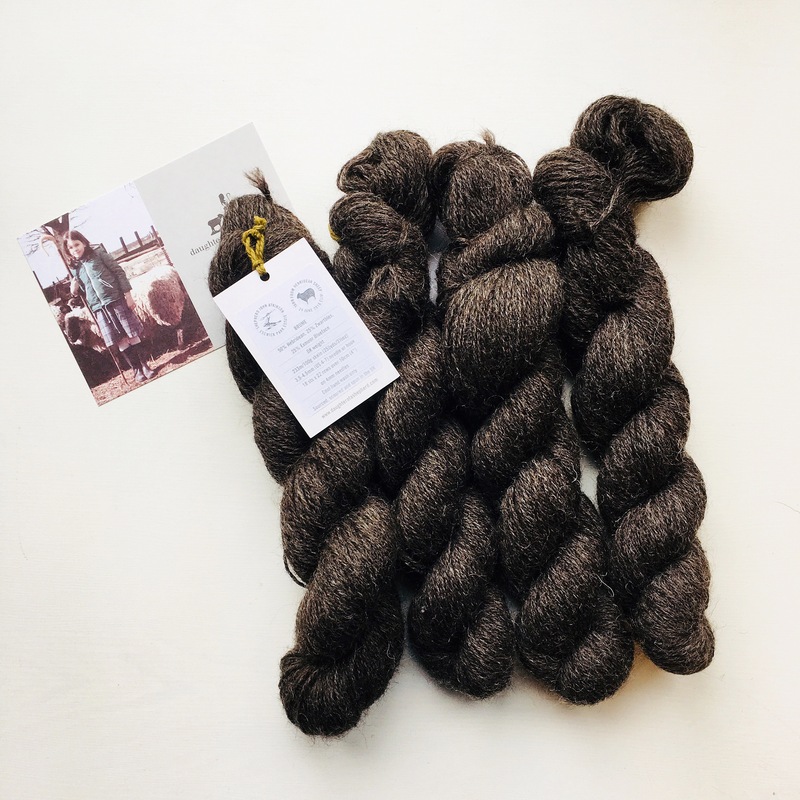 Next up was Bigwigs Angora (oh those bunnies are soooo soft) and Hill View Farm who are on my list to buy from just as soon as some equilibrium has been restored to my bank balance (they have a peach colourway that I MUST have). Then a quick scoot through the Tannery to say hi to the guys at A Yarn Story and admire the incredible needle felt sculptures of Jenny Barnett (maybe next year I will try my hand at needle felting) before it was time to say goodbye to my wool buddies and head back to the car, bags bulging, slightly foot sore but very, very happy.